Improving safety is the top goal of a proposal by city officials to overhaul a stretch of Washington Street in West Newton Square. NEWTON — As a longtime resident and business owner in West Newton Square, Valerie Miller knows first-hand how hard it is for customers to navigate the neighborhood’s busy streets and confusing intersections. 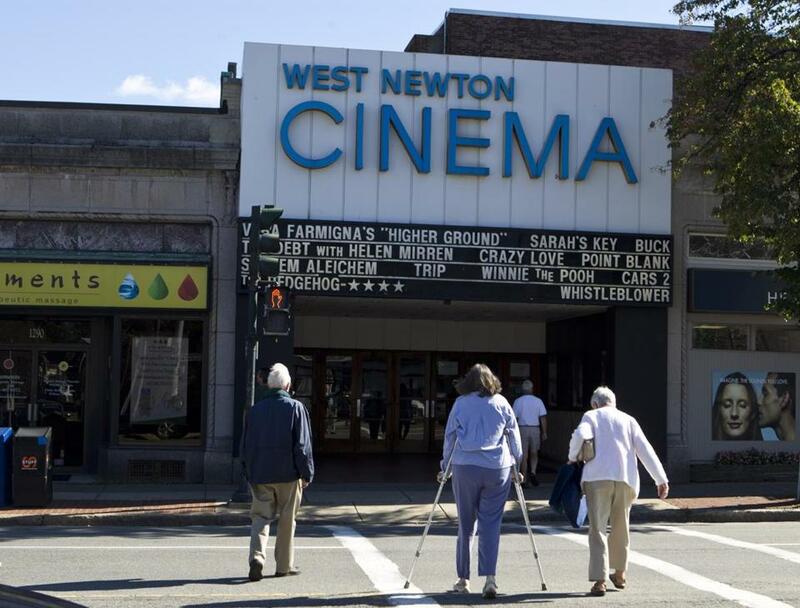 Even the crosswalk in front of the West Newton Cinema is “terrifying,” said Miller, who waits for motorists to signal that she’s safe to cross Washington Street. “I never trust it unless I see the eyes of a driver,” said Miller, who has lived in the neighborhood for about 30 years and co-owns Artitudes, a crafts and jewelry store, with her husband. Improving safety is the top goal of a proposal by city officials to overhaul a stretch of Washington Street from Chestnut Street — the site of last year’s horrific crash at Sweet Tomatoes Pizza — to Lucas Court near the Massachusetts Turnpike overpass. A conceptual plan presented Tuesday to the City Council calls for clearer traffic signals, bike lanes with physical barriers between bicyclists and drivers, as well as renovated public spaces and tree plantings along the sidewalks. “What it becomes is a more accessible destination for people,” said Mayor Setti Warren. The project is intended to fix one of the worst areas for pedestrian and vehicle crashes in the Boston metropolitan region, according to the presentation. A final cost hasn’t been set, but the city has set aside $4 million from its capital improvement plan for the project, said Barney S. Heath, the city’s director for planning and development. Heath said the West Newton project will be followed by similar work along Washington Street in Newtonville and then Newton Corner. “We are really trying to make our villages in Newton pedestrian, bike-friendly places you want to be,” Heath said. Rachel Blatt, a long-range planner for the city, said the project would add 24 new on-street parking spaces to the West Newton Square neighborhood, mostly concentrated along Washington Street near Lucas Court. The project would consolidate the two traffic signals near the cinema, at the intersection of Watertown and Washington streets, eliminating a source of confusion for drivers. More crosswalks would also be added at that intersection. The project also encompasses the intersection of Washington and Chestnut Streets, where sidewalk barriers have been erected since an SUV failed to stop and crashed into Sweet Tomatoes Pizza. Two people were killed and seven others injured in the crash last March. Planners hope to have a final version of the project ready for a City Council vote in June, Heath said. With that approval, work could start in August and should be completed in the spring of 2018, he said. On Tuesday night, city councilors appeared to be supportive of the proposal, but some questioned whether the full cost of some of the improvements had been finalized. “All those things are absolutely wonderful, but in five, or 10, or 15 years, who is going to be responsible for maintaining [them], what’s the cost of maintaining them going to be?” City Councilor Marc Laredo asked. City officials said they worked closely with local residents and businesses on the proposed project, and the additional parking came at the request of business owners. Judith Kalish, who opened Judith’s Kitchen with her husband in August of 2015, said the proposals for extra parking and improvements for pedestrians will help businesses like hers attract more customers. “They are going to make it more friendly for people to walk around, which is great,” Kalish said, who is also a village resident. “I feel what they are doing will help us have a much stronger community,” Miller said.